By bonding your floorboards properly, using the Trowel Glue Down Method, you will be creating a solid layer that will reduce the risk of shrinkage and movement, thereby creating an almost seamless look that will be durable and lasting, without the likelihood of your floorboards lifting from the sub-floor base over time. Your boards may be directly installed onto pre-installed wood (particle board, yellow tongue or conventional hardwood) or a concrete slab, and may also be installed over Heat Slab. Please always check our GrandOak Installation Instructions for full specifications, and consult the professional retailers or installers for more info before you begin. 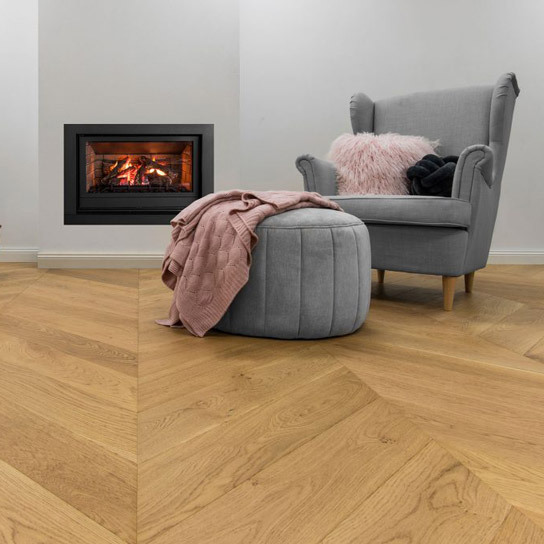 Capturing the look of a solid timber floor over a concrete slab or an existing wood floor, by using your choice of GrandOak’s European Oak Flooring range, quickly adds a beautiful and sophisticated finish to any room. 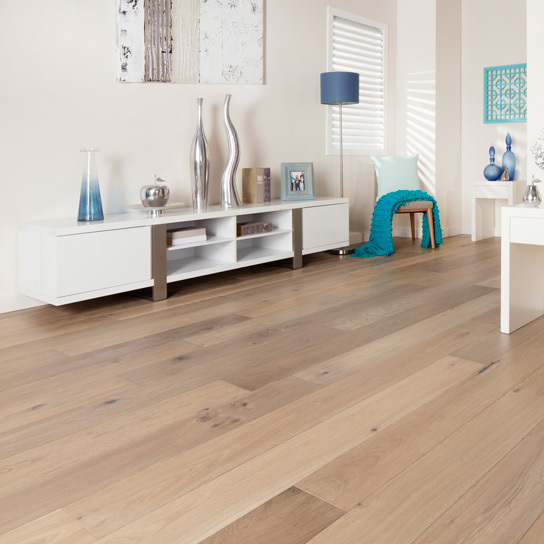 Once you have properly followed our clear instructions, you will be almost instantly able to enjoy your stylish new floors, without any need for traditional follow-up processes of polishing and sealing – meaning there’s no dust, no nasty odours, and no extensive time delays in waiting for sealants like oils and lacquers to dry and cure. Your GrandOak eco-friendly floors will be solid, enduring and gorgeous almost immediately. 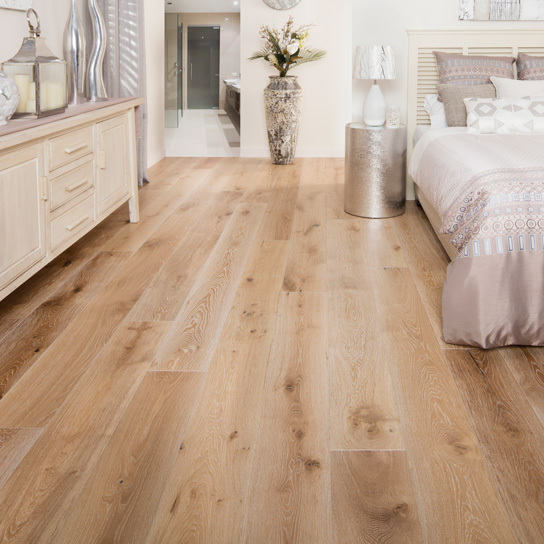 And you’ll be able to enjoy your floor’s unmistakeable quality, style your room with your furnishings, and feel completely satisfied that all of our products are backed by our generous Warranty (as applicable). GrandOak is proud to produce the finest quality in flooring elegance, and, by following our Trowel Glue Down Method (Direct Stick) Installation Instructions and Guidelines, and Our Care and Maintenance Guidelines (once you begin living with your new floors on a daily basis), your floor will stay simply beautiful. Click here to download your GrandOak Installation Guide Instructions for full specifications. 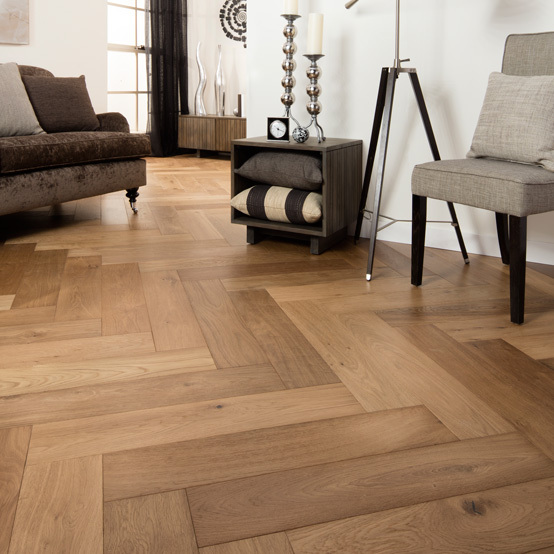 GrandOak Flooring stands for unmistakable quality….